The Ghostbusters franchise sure looked like a goner after this summer’s female-driven, Paul Feig-directed reboot met with toxic online criticism and middling box-office receipts. 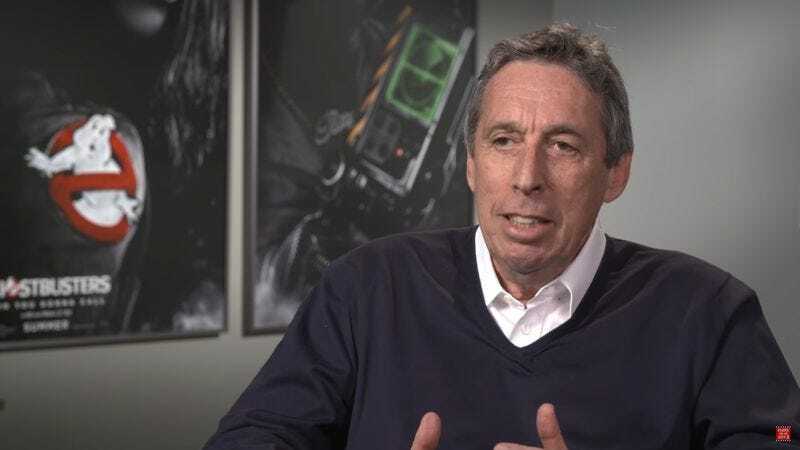 But hold on: Ivan Reitman, who directed the 1984 original and served as a producer on the remake, says that “many other Ghostbusters movies” are still currently “in development.” And if anyone should be in the loop regarding the series, it’s this guy. The veteran filmmaker made these promising and/or threatening comments as part of an interview with the Mr. Wavvy podcast. Reitman was ostensibly on the show to talk about the 20th anniversary of Space Jam, but naturally the topic of Ghostbusters came up during the conversation. While not specifying any particular projects, Reitman did indicate that several Ghostbusters films were still in the works as of November 2016, indicating that the franchise wasn’t pinning all its hopes on this year’s Melissa McCarthy-Kristen Wiig vehicle. This announcement should come as little surprise to anyone who has been paying scrupulous attention to the Ghostbusters brand. In 2015, Sony Pictures set up a production company called Ghost Corps. with the apparent goal of building a massive, Star Wars-esque, multi-film franchise around the supernatural comedy. So what might these new films be? Well, Feig is up for a sequel to the reboot, in case anyone wants one of those. Then there’s a possible animated film, which makes sense, considering that The Real Ghostbusters has plenty of nostalgia-driven cachet of its own. Fans with long memories might also recall that there were rumors of another all-dude Ghostbusters, possibly starring Channing Tatum. That could still happen. So far, there don’t seem to be any hints that the world is ready for a co-ed Ghostbusters film, however.